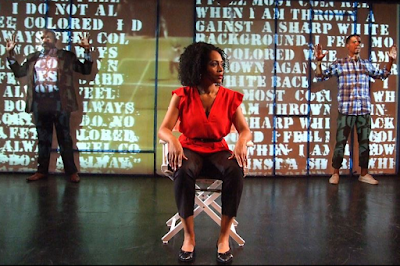 Citizen: An American Lyric, adapted for the stage from Claudia Rankine’s award-winning book of poetry by Rankine and Fountain Theatre co-artistic director Stephen Sachs, will headline Primary Stages’ 2016-17 season at off-Broadway’s Cherry Lane Theatre. An intensely provocative and unapologetic rumination on racial aggression in America, Rankine’s Citizen: An American Lyric has been heralded as one of the best books of the past decade and received the National Book Critics Circle Award for poetry. In this new stage adaptation by Rankine and Sachs, seemingly everyday acts of racism are scrutinized as part of an uncompromising testimony of “living while Black” in America, from the shooting of Trayvon Martin, to the tennis career of Serena Williams and the aftermath of Hurricane Katrina. For more information, check out primarystages.org.